a partner and member of our Life Sciences practice group. Recognized as one of Canada's leading lawyers for life sciences, regulatory, advertising and marketing law, Alice advises clients in the pharmaceutical, cannabis, food, medical device and cosmetic industries. She has been practising for over two decades, and is qualified as a pharmacist, lawyer and patent agent. Alice’s expertise in the pharmaceutical industry includes biologics, controlled drugs and substances, immunotherapy, orphan drugs, vaccines, OTC drugs and natural health products. In her life sciences practice, Alice advises clients on a wide range of regulatory and healthcare compliance matters including: reimbursement and pricing, product safety, privacy, as well as federal and provincial regulatory matters. Alice complements this through her advertising and marketing practice, advising clients in highly regulated industries on a variety of matters including social media initiatives, trade disputes, and marketing programs for patients and healthcare professionals. “Alice is one of the leading life sciences and regulatory lawyers in Canada. She brings a deep understanding of the regulatory environment in Canada to the firm and the issues for both traditional industries like pharmaceuticals and emerging players such as those in the cannabis industry. Alice is laser focused and dedicated to helping her clients navigate complex legal issues and develops strategies for them to succeed,” said Steven Garland, Managing Partner. 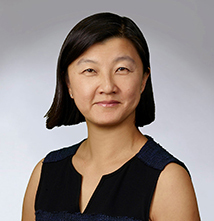 Before joining Smart & Biggar, Alice Tseng was a partner at the Toronto office of a major Canadian firm. We are very pleased to welcome Alice to Smart & Biggar and wish her great success.